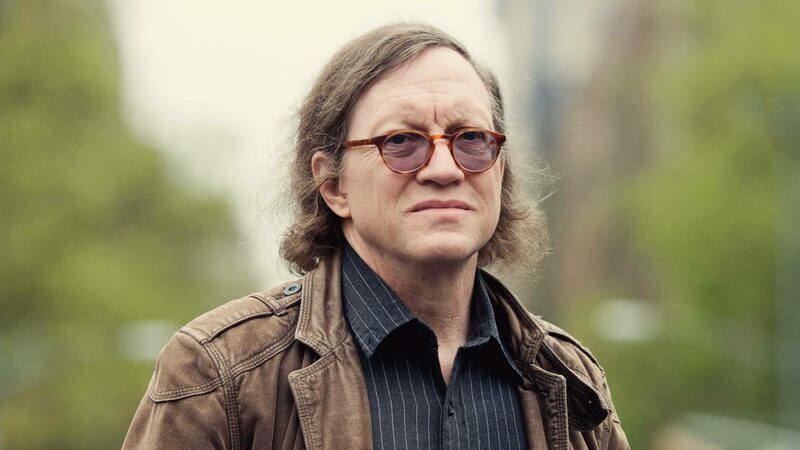 Time isn’t just another dimension, argues Tim Maudlin. To make his case, he’s had to reinvent geometry. Physicists and philosophers seem to like nothing more than telling us that everything we thought about the world is wrong. They take a peculiar pleasure in exposing common sense as nonsense. But Tim Maudlin thinks our direct impressions of the world are a better guide to reality than we have been led to believe. Not that he thinks they always are. 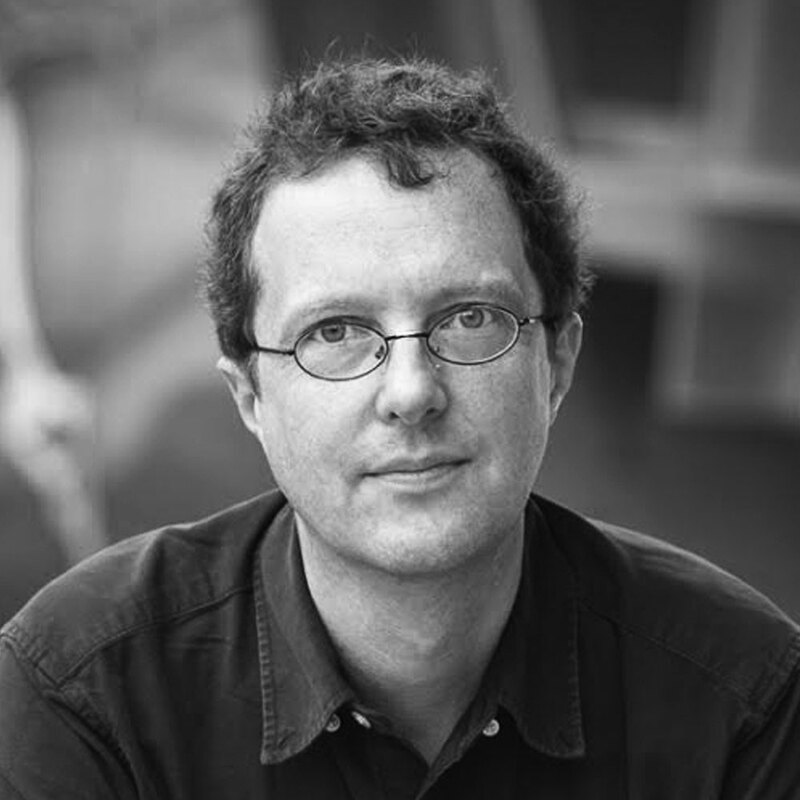 Maudlin, who is a professor at New York University and one of the world’s leading philosophers of physics, made his name studying the strange behavior of “entangled” quantum particles, which display behavior that is as counterintuitive as can be; if anything, he thinks physicists have downplayed how transformative entanglement is. At the same time, though, he thinks physicists can be too hasty to claim that our conventional views are misguided, especially when it comes to the nature of time. He defends a homey and unfashionable view of time. It has a built-in arrow. It is fundamental rather than derived from some deeper reality. Change is real, as opposed to an illusion or an artifact of perspective. The laws of physics act within time to generate each moment. Mixing mathematics, physics and philosophy, Maudlin bats away the reasons that scientists and philosophers commonly give for denying this folk wisdom. The mathematical arguments are the target of his current project, the second volume of New Foundations for Physical Geometry (the first appeared in 2014). Modern physics, he argues, conceptualizes time in essentially the same way as space. Space, as we commonly understand it, has no innate direction — it is isotropic. When we apply spatial intuitions to time, we unwittingly assume that time has no intrinsic direction, either. New Foundations rethinks topology in a way that allows for a clearer distinction between time and space. Conventionally, topology — the first level of geometrical structure — is defined using open sets, which describe the neighborhood of a point in space or time. “Open” means a region has no sharp edge; every point in the set is surrounded by other points in the same set. Maudlin proposes instead to base topology on lines. He sees this as closer to our everyday geometrical intuitions, which are formed by thinking about motion. And he finds that, to match the results of standard topology, the lines need to be directed, just as time is. Maudlin’s approach differs from other approaches that extend standard topology to endow geometry with directionality; it is not an extension, but a rethinking that builds in directionality at the ground level. 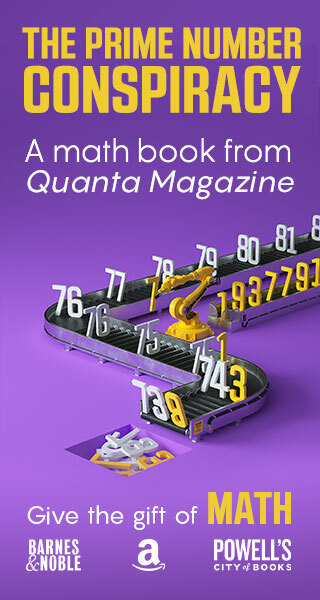 Maudlin discussed his ideas with Quanta Magazine in March. Here is a condensed and edited version of the interview. Why might one think that time has a direction to it? That seems to go counter to what physicists often say. I think that’s a little bit backwards. Go to the man on the street and ask whether time has a direction, whether the future is different from the past, and whether time doesn’t march on toward the future. That’s the natural view. The more interesting view is how the physicists manage to convince themselves that time doesn’t have a direction. They would reply that it’s a consequence of Einstein’s special theory of relativity, which holds that time is a fourth dimension. This notion that time is just a fourth dimension is highly misleading. In special relativity, the time directions are structurally different from the space directions. In the timelike directions, you have a further distinction into the future and the past, whereas any spacelike direction I can continuously rotate into any other spacelike direction. The two classes of timelike directions can’t be continuously transformed into one another. Standard geometry just wasn’t developed for the purpose of doing space-time. It was developed for the purpose of just doing spaces, and spaces have no directedness in them. And then you took this formal tool that you developed for this one purpose and then pushed it to this other purpose. When relativity was developed in the early part of the 20th century, did people begin to see this problem? I don’t think they saw it as a problem. The development was highly algebraic, and the more algebraic the technique, the further you get from having a geometrical intuition about what you’re doing. 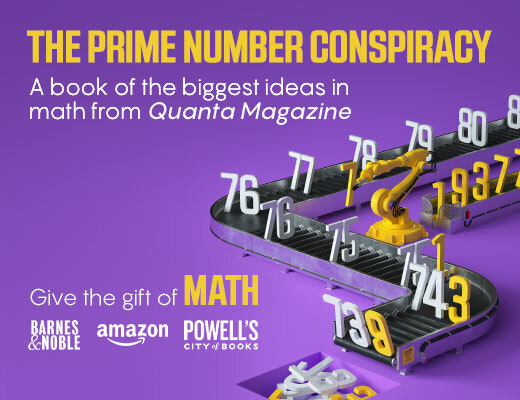 So if you develop the standard account of, say, the metric of space-time, and then you ask, “Well, what happens if I start putting negative numbers in this thing?” That’s a perfectly good algebraic question to ask. It’s not so clear what it means geometrically. And people do the same thing now when they say, “Well, what if time had two dimensions?” As a purely algebraic question, I can say that. But if you ask me what could it mean, physically, for time to have two dimensions, I haven’t the vaguest idea. Is it consistent with the nature of time that it be a two-dimensional thing? Because if you think that what time does is order events, then that order is a linear order, and you’re talking about a fundamentally one-dimensional kind of organization. And so you are trying to allow for the directionality of time by rethinking geometry. How does that work? I really was not starting from physics. I was starting from just trying to understand topology. When you teach, you’re forced to confront your own ignorance. I was trying to explain standard topology to some students when I was teaching a class on space and time, and I realized that I didn’t understand it. I couldn’t see the connection between the technical machinery and the concepts that I was using. Suppose I just hand you a bag of points. It doesn’t have a geometry. So I have to add some structure to give it anything that is recognizably geometrical. In the standard approach, I specify which sets of points are open sets. In my approach, I specify which sets of points are lines. How does this differ from ordinary geometry taught in high school? In this approach that’s based on lines, a very natural thing to do is to put directionality on the lines. It’s very easy to implement at the level of axioms. If you’re doing Euclidean geometry, this isn’t going to occur to you, because your idea in Euclidean geometry is if I have a continuous line from A to B, it’s just as well a continuous line B to A — that there’s no directionality in a Euclidean line. From the pure mathematical point of view, why might your approach be preferable? In my approach, you put down a linear structure on a set of points. If you put down lines according to my axioms, there’s then a natural definition of an open set, and it generates a topology. Another important conceptual advantage is that there’s no problem thinking of a line that’s discrete. People form lines where there are only finitely many people, and you can talk about who’s the next person in line, and who’s the person behind them, and so on. The notion of a line is neutral between it being discrete and being continuous. So you have this general approach. Why is this kind of modification important for physics? As soon as you start talking about space-time, the idea that time has a directionality is obviously something we begin with. There’s a tremendous difference between the past and the future. And so, as soon as you start to think geometrically of space-time, of something that has temporal characteristics, a natural thought is that you are thinking of something that does now have an intrinsic directionality. And if your basic geometrical objects can have directionality, then you can use them to represent this physical directionality. Physicists have other arguments for why time doesn’t have a direction. Often one will hear that there’s a time-reversal symmetry in the laws. But the normal way you describe a time-reversal symmetry presupposes there’s a direction of time. Someone will say the following: “According to Newtonian physics, if the glass can fall off the table and smash on the floor, then it’s physically possible for the shards on the floor to be pushed by the concerted effort of the floor, recombine into the glass and jump back up on the table.” That’s true. But notice, both of those descriptions are ones that presuppose there’s a direction of time. That is, they presuppose that there’s a difference between the glass falling and the glass jumping, and there’s a difference between the glass shattering and the glass recombining. And the difference between those two is always which direction is the future, and which direction is the past. So I’m certainly not denying that there is this time-reversibility. But the time-reversibility doesn’t imply that there isn’t a direction of time. It just says that for every event that the laws of physics allow, there is a corresponding event in which various things have been reversed, velocities have been reversed and so on. But in both of these cases, you think of them as allowing a process that’s running forward in time. Now that raises a puzzle: Why do we often see the one kind of thing and not the other kind of thing? And that’s the puzzle about thermodynamics and entropy and so on. 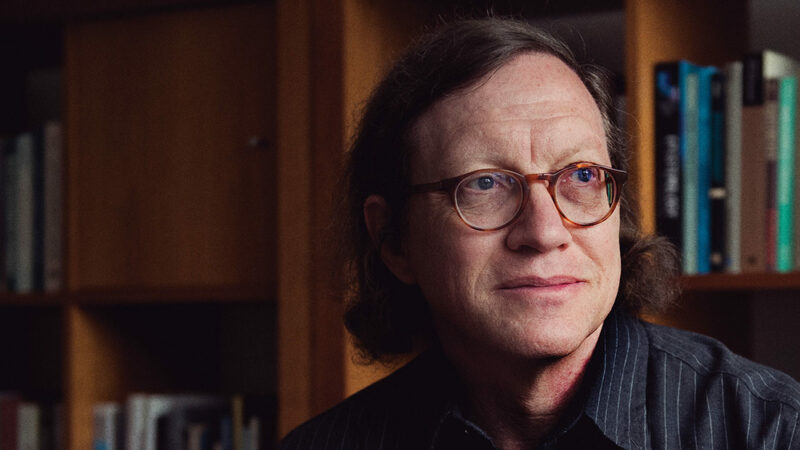 Video: Tim Maudlin explains how math has led physicists to believe some very strange things about the nature of time. If time didn’t have a direction, it seems to me that would make time into just another spatial dimension, and if all we’ve got all are spatial dimensions, then it seems to me nothing’s happening in the universe. I can imagine a four-dimensional spatial object, but nothing occurs in it. This is the way people often talk about the, quote, “block universe” as being fixed or rigid or unchanging or something like that, because they’re thinking of it like a four-dimensional spatial object. If you had that, then I don’t see how any initial condition put on it — or any boundary condition put on it; you can’t say “initial” anymore — could create time. How can a boundary condition change the fundamental character of a dimension from spatial to temporal? There’s something in addition. For time to pass means for events to be linearly ordered, by earlier and later. The causal structure of the world depends on its temporal structure. The present state of the universe produces the successive states. To understand the later states, you look at the earlier states and not the other way around. Of course, the later states can give you all kinds of information about the earlier states, and, from the later states and the laws of physics, you can infer the earlier states. But you normally wouldn’t say that the later states explain the earlier states. The direction of causation is also the direction of explanation. Well, that’s certainly a deep part of the picture I have. The machinery is exactly the laws of nature. That gives a constraint on the laws of nature — namely, that they should be laws of temporal evolution. They should be laws that tell you, as time goes on, how will new states succeed old ones. The claim would be there are no fundamental laws that are purely spatial and that where you find spatial regularities, they have temporal explanations. Does this lead you to a different view of what a law even is? It leads me to a different view than the majority view. I think of laws as having a kind of primitive metaphysical status, that laws are not derivative on anything else. It’s, rather, the other way around: Other things are derivative from, produced by, explained by, derived from the laws operating. And there, the word “operating” has this temporal characteristic. I often say my philosophical views are just kind of the naïve views you would have if you took a physics class or a cosmology class and you took seriously what you were being told. In a physics class on Newtonian mechanics, they’ll write down some laws and they’ll say, “Here are the laws of Newtonian mechanics.” That’s really the bedrock from which you begin. I don’t think I hold really bizarre views. I take “time doesn’t pass” or “the passage of time is an illusion” to be a pretty bizarre view. Not to say it has to be false, but one that should strike you as not what you thought. I’ve never been able to quite understand what the emergence of time, in its deeper sense, is supposed to be. The laws are usually differential equations in time. They talk about how things evolve. So if there’s no time, then things can’t evolve. How do we understand — and is the emergence a temporal emergence? It’s like, in a certain phase of the universe, there was no time; and then in other phases, there is time, where it seems as though time emerges temporally out of non-time, which then seems incoherent. Where do you stop offering analyses? Where do you stop — where is your spade turned, as Wittgenstein would say? And for me, again, the notion of temporality or of time seems like a very good place to think I’ve hit a fundamental feature of the universe that is not explicable in terms of anything else.